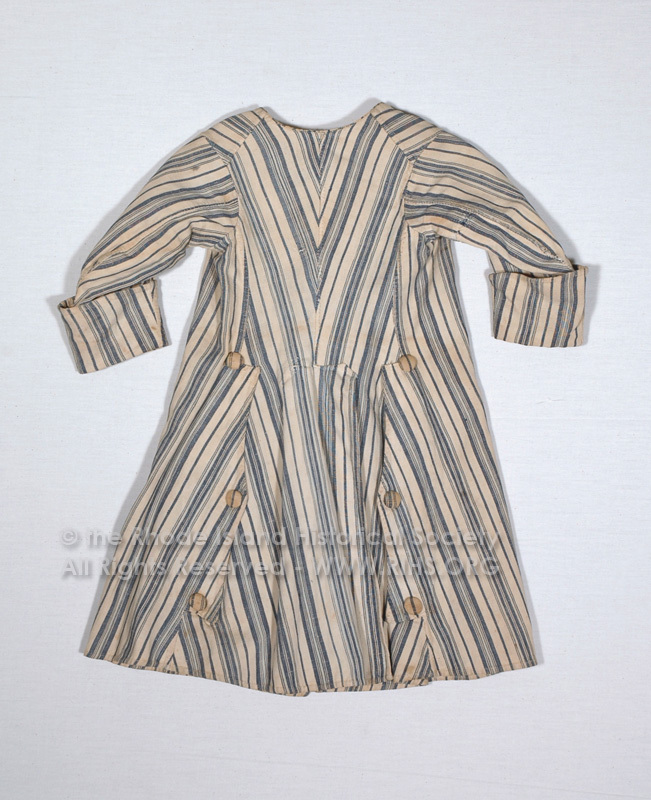 Child's coat in cream and blue vertical stripes, double breasted button up front. The cuffs fold back, but there is no collar and there are six buttons on back flap. 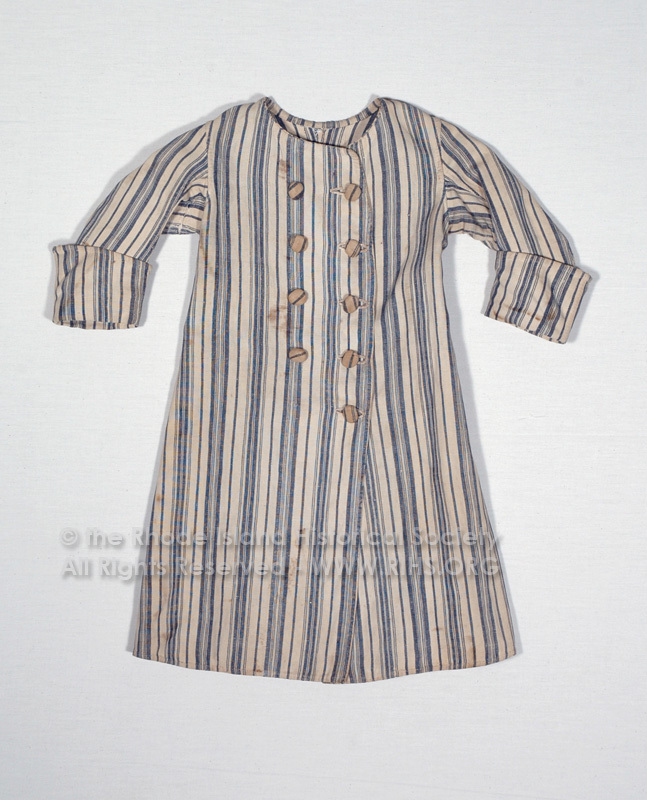 Worn about 1762, Scituate, Rhode Island by William Battey, father of Julia Ann Battey, who married John Atwood, early cotton manufacturer.